* Free Size:floppy hat has one size fits most.circumference:22.4" and brim:2.8"
2 It is manual measurement,there may be 0.7-1inch tolerance. 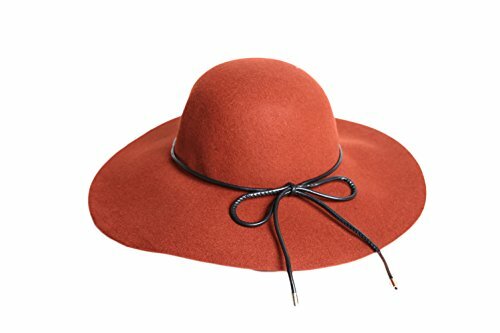 Free Size:floppy hat has one size fits most.circumference:22.4" and brim:2.8"
If you have any questions about this product by Liveinu, contact us by completing and submitting the form below. If you are looking for a specif part number, please include it with your message. Style Of Individuality Wide Brim Wool Felt Hat In FALL'S Pumpkin, West's Turquoise, With Sparkles!